natural function of the human body. 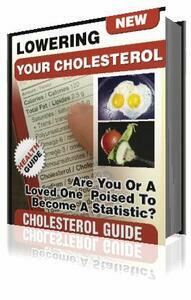 The modern story of cholesterol and how it affects us today, actually began during a government study in 1951. Not long after this discovery, a name was given to the major contributor to the buildup of plaque and to heart disease risk – cholesterol. More recent studies have shown that for every 1 percent drop in cholesterol levels, there is a 2 percent decrease in the risk of a heart attack. from cholesterol has exploded. In 2002 it was estimated that 107 million American adults now have a blood cholesterol level high enough to require medical advice. Unfortunately, the numbers keep rising. Despite this epidemic problem, there is good news. You can do something about the problem and that’s what this guide is all about. In plain English, we will take a laymen’s look at cholesterol, the causes, effects and what you can do to reverse the negative impact it has on your personal health.